The Sweet 16 starts tonight, and most of you probably have already had your brackets thoroughly busted thanks to all the first round (NOT second round) and second round (NOT third round) upsets that took place. One little chap who doesn’t have his bracket busted is the five year old son of Matt Hasselbeck: Henry. As you may have heard elsewhere, Henry Hasselbeck's bracket entry on ESPN.com's Tournament Challenge currently ranks 103rd out of 5.9 million entries. His secret? Henry chose each game by his favorite mascot. Since my cognitive process is almost certainly better than Henry’s – does he even know what an Aztec is? – I’m going to trump that little twerp in a guest post for Skohrboard using Henry’s great idea: mascot breakdown analysis!! 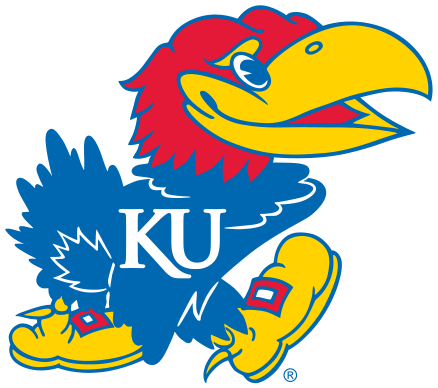 Jayhawks: Cross between the noisy blue jay and the quiet sparrow hawk. Also the name for a militant abolitionist group. They have also been known to wear buckled shoes. In summary, we are looking at a bipolar, shoe-wearing bird that will fight hard for civil rights. Spiders: Well, that kind of depends on the spider. I have killed my fair share of spiders, and I have run screaming from others. Hell, some spiders can eat birds, so if this is that kind of spider then KU is SOL. Verdict: John Goodman’s spider-killing techniques in Arachnophobia notwithstanding, there is one sure-fire way to kill a spider: crush them with a shoe. These Jayhawks came prepared! Rock Chalk, Jayhawk. Rams: Alright I have confirmed my suspicions: a ram is a male sheep. The animal symbolism of the ram speaks of many qualities that are needed for victory over another: Power, Force, Drive, Energy, Virility, Protection, Fearlessness. Plus, they have sweet horns that they use in battle. While some rams have been domesticated, most are wild. 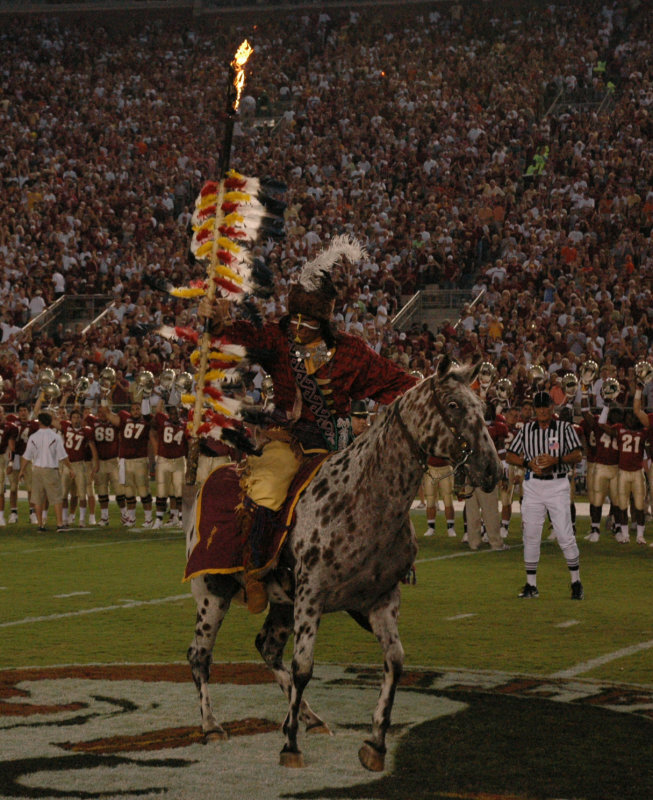 Seminoles:The Seminole are a Native American tribe originally found in Florida, who now reside primarily in that state and Oklahoma. The word Seminole is a corruption of cimarrón, a Spanish term for "runaway" or "wild one”. What should be noted is that the Seminole were never officially conquered, as they still have tribes in existence today. It should also be noted that the stupid jerk NCAA tried to remove the name from FSU for being “hostile and offensive” before the Florida (and Oklahoma) Seminole gave full permission. Oh and have you seen Renegade? 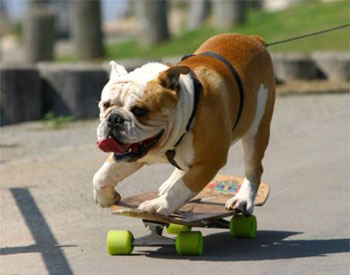 Bulldogs: Other than being amongst the coolest-looking dogs in the world, Youtube searches reveal that these guys also have a proclivity for skateboarding and surfing. They look like they’d be real sourpuss companions, but the general demeanor of a bulldog is generally docile and are pretty easy to please. Today they are bred to be pretty much the friendliest dog you can have, and they are great with kids. Of course, with a name like “bulldog” you’d think they’d have an interesting past, and you’d be right: the name "bull" was applied because of the dog's use in the sport of bull baiting. The original bulldog had to be very ferocious and so savage and courageous as to be almost insensitive to pain. Oh, and did I say bull baiting? That was a sport popular in the 17th century with wagers laid while trained bulldogs leapt at a bull lashed to a post. So yeah, that cute little doggy used to fight bulls (and bears) for sport! Badgers: Badgers are short-legged, heavy-set omnivores in the weasel family. They are known to be fierce animals who will protect their young at all costs, and that includes fighting off much larger animals like wolves and bears. Honey badgers in Africa have even been known to fight off lions, hyenas, and some of the most deadly snakes in the world. Verdict: Who’d have thought we’d have two animals that have been known to fight bears? Since we can’t use that as our criteria, we are taking away one of the bulldogs best attributes. If they were the Butler Dachsunds we’d have a whole ‘nother story – dachsunds were bred to kill badgers – but unfortunately this is a badger-bulldog matchup, and only one of these animals is still considered fierce in the 21st century: Badgers, as much as it pains me. Aztecs: The Aztecs were a gigantic tribe of people based in Mesoamerica, whose capital city was called Tenochtitlan. They had a massive empire that ultimately fell to Hernán Cortés, whom they justifiably confused for their white-skinned god, Quetzalcoatl. 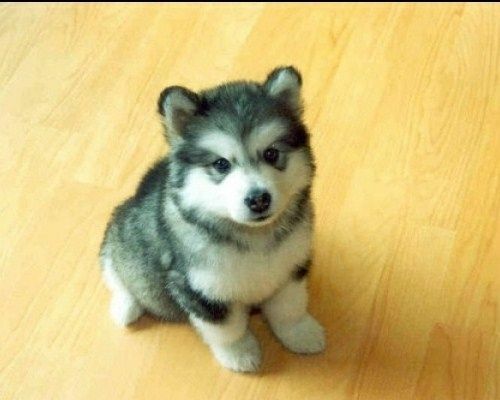 I’d go on, but I am compelled to run a Google Image search on husky puppies. Blue Devils: Um, they are devils, but blue? 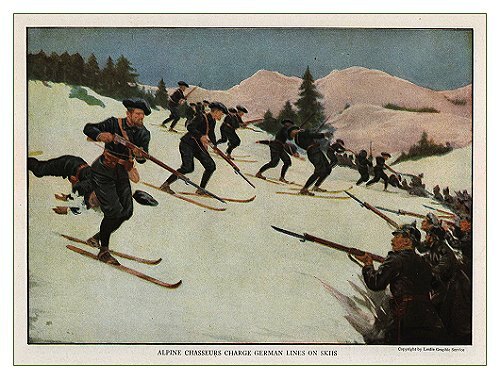 Screw it, I’m going with the alternate definition: the elite mountain infantry unit of the French Army. Wildcats: Ok full disclosure: I can't stand Arizona. You'll have to read on for analysis on a wildcat: I think you'll be able to figure it out though. Tar Heels: This is a nickname applied to all the inhabitants of North Carolina, due to the fact that tar was one of the main exports. One legend explaining the history of the term went back to the state’s importance to the Confederacy in the Civil War, alluding to the fact that NC troops "stuck to their ranks like they had tar on their heels"
Verdict: Let’s see, people who were good at keeping slavery going, or birds that hunt for food on the wing. Oh hey, why don’t you just ask me what is better between water or poison. 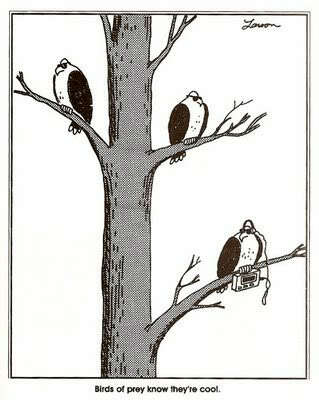 Golden Eagles. Buckeyes: Alright, we are either looking at the name of a tree, the nut from that tree, or the name for the people of Ohio. You know you are in bad shape when being a nut is the best option. Wildcats: These little fellas look just like your average housecat, only they are wild and will hunt small animals for both food and sport: in other words just like a regular housecat that hasn’t been sissified by being declawed. They are pretty wary of humans, but they will actually self-domesticate if they stumble upon a barn that has a ton of rats or something like that. Don’t say you didn’t learn anything today. Nice mascot research! 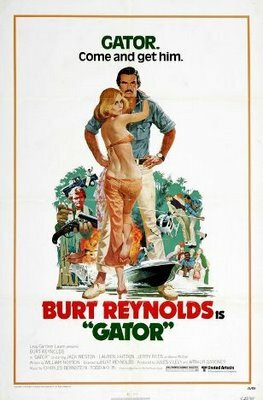 The only one I might differ on is a Cougar vs. a Gator. Don't get me wrong both are terrifying but in a one game (kill) series I think a cougar wins it. Maybe in a seven game (kill) series that gator outsmarts it and wins though. And yes, I know the game is already over and Florida won but I was talking about the spirit of the post. I was also glad you took the Seminoles over the Rams. Rams aren't scary but if a giant guy on a horse with a flaming stick came galloping at me I think I'd be a little afraid. Why thank you! 3-1 last night and I got to load up this blog with some much needed pictures of animals. Win-win!